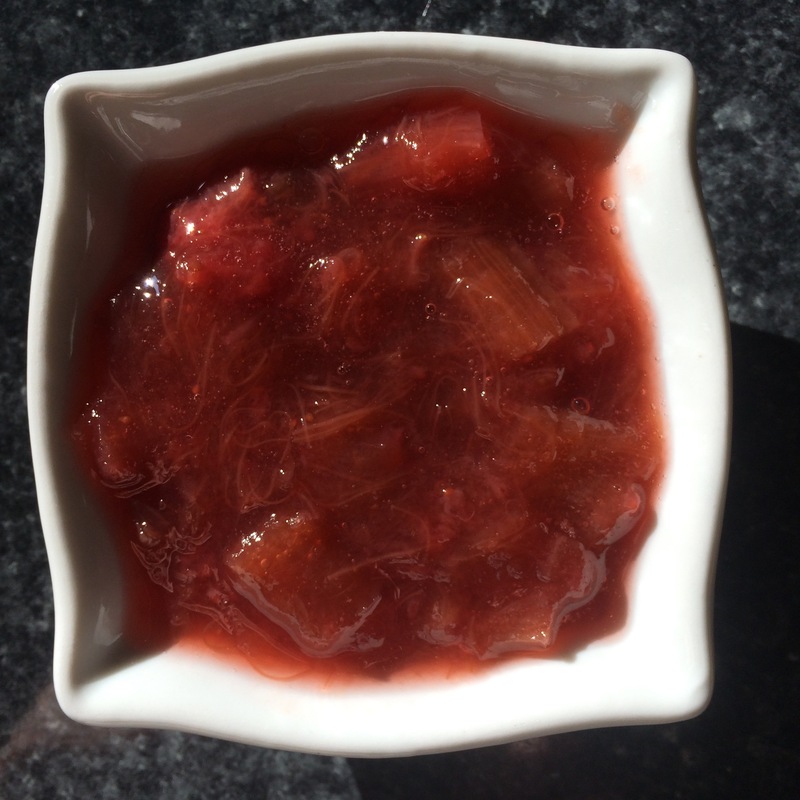 Strawberry Rhubarb Jam is such a classic flavour. I love to make this in the winter time because it’s like a little spoonful of summer. I used to think that jam was really difficult to make. 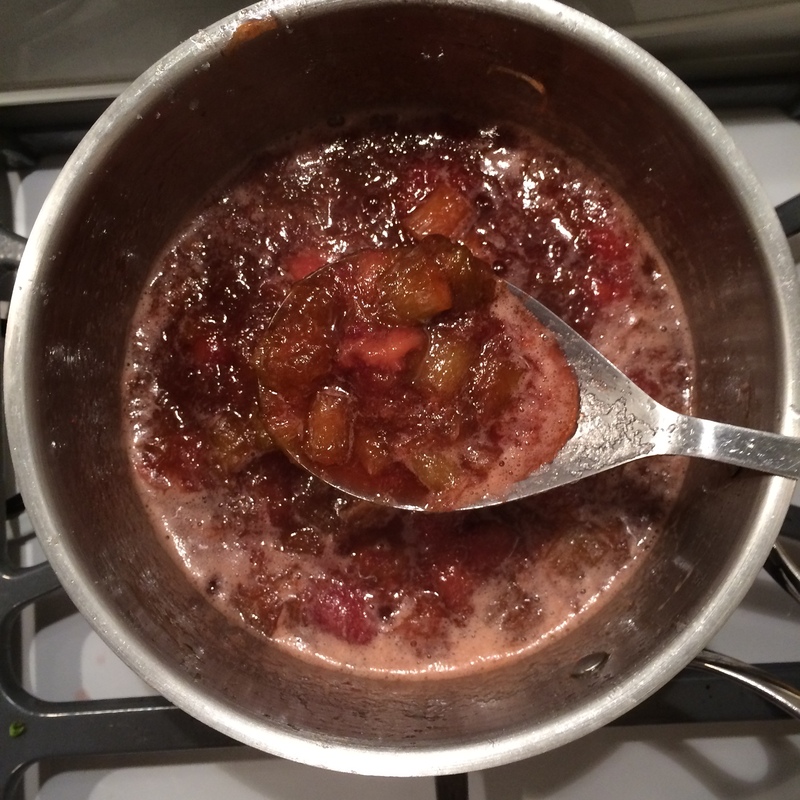 That you had to use store bought pectin and spend hours processing it. You can go through all of that, and sometimes I do, but it is amazing how a few simple ingredients can make the most amazing jam or compote. 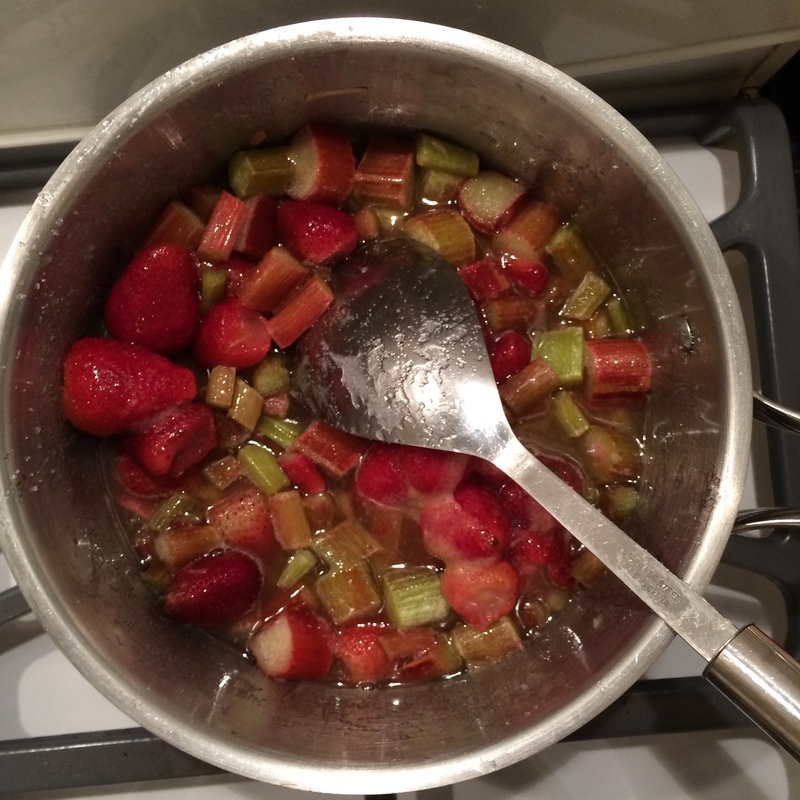 Every summer I get tonnes of rhubarb, we can’t eat it all, so I tend to chop it up and put it in the freezer. Often it gets forgotten and freezer-burned and ultimately discarded. This time during one of my forages through the freezer I stumbled across a lonely bag of rhubarb. I decided to throw it in a pan with some frozen strawberries (which are usually reserved for smoothies), add some sugar and a squeeze of lemon, cook it up and Voila! you have the most amazing jam. Within minutes of it being done, the kids each had a bowl and were eating it on biscuits and the next morning I made crepes and filled them with the jam. It’s so versatile you can use it like you would use a regular jam or use it for desert, warmed and put on top of a scoop of vanilla ice-cream … simply delish! Put all ingredients into a stainless steel pan. Feel free to play around with the volume of fruit and sugar to get the flavour you like. Also, for extra zing you can add some lemon zest. It is important to include the lemon as it acts as a pectin to give it that nice “jammy” consistency. Gradually bring to a boil. Once a boil has reached, keep on medium heat until it reaches the consistency you like. This won’t be thick like the jam you buy in a jar, but that makes it even nice still. Once the jam has reached the temperature you like, let it cool slightly. Transfer it to clear clear class container(s). Let cool before transferring to the fridge. I dare you not to eat it all before it makes it there!! I recently made vanilla cupcakes. I baked 1 tsp of the of the Strawberry Rhubarb Jam in the middle of the cupcakes for a lovely little surprise. Excellent idea, and so many good uses. Is the jam tart? If so, it would be perfect in a croustade. If it’s insanely sweet (my preference for jam), then it could be sandwiched between sugar cookie (the one on top has a hole, so the jam shows through). Thank you for sharing these ideas. I’m now looking forward to your blog every time! Thank you James! I love the idea of putting between sugar cookies. I can’t wait to try this. Also, I’m glad you like my blog. It’s really a lot of fun and nice to have an active reader! Just whipped up a batch of strawberry rhubarb jam. Yum!